Гуманитарный факультет ГУАП > Публичные лекции > John Frederick Bailyn. 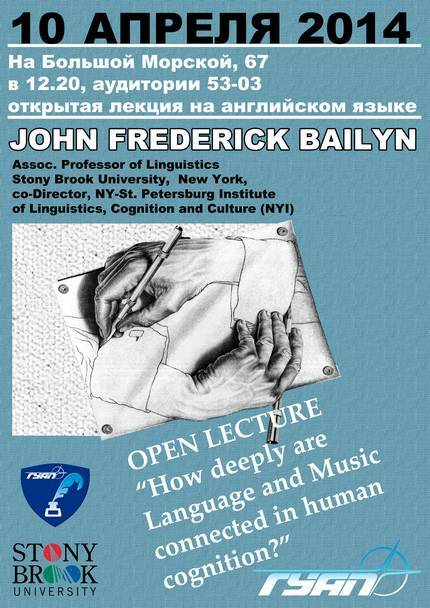 “How deeply are Language and Music connected in human cognition? 10 апреля 2014 John Frederick Bailyn. “How deeply are Language and Music connected in human cognition? Поделиться "John Frederick Bailyn. “How deeply are Language and Music connected in human cognition?"